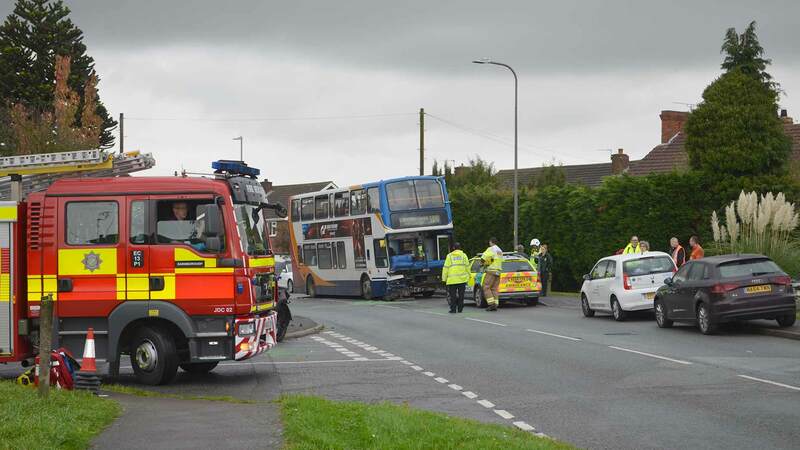 Seven people have been injured in a crash between a bus and Land Rover. Emergency services were called to the crash on the A159 Gainsborough Road at Blyton shortly before 11.30am on Friday, October 20. Six passengers on the bus have been injured along with a passenger in the Land Rover. The road is currently closed with diversions and motorists are asked to avoid the area. Any witnesses should call police on 101, quoting incident number 155 of October 20.